A young woman falls from a van speeding down a quiet road. Battered and bruised, she turns her head to the person who comes to her aid. ‘Help her’, she whispers before her eyes close. Days later, the body of another young girl is found in a shallow grave just a few miles away. The similarities between the two girls are startling – same age, same frail body, same shocking red hair. As the town fears there’s a serial killer living amongst them, Detective Gina Harte must put aside her own struggles at home, and catch the killer before he finds another perfect girl. AN ABSOLUTELY HEART-STOPPING CRIME THRILLER FROM CARLA KOVACH – if you like Lisa Gardner, Robert Bryndza or Clare Mackintosh, Her Pretty Bones will have you hooked. How is it, in a matter of days, two women are found under very similar circumstances. The first is found running from a speeding van and is almost hit. She says to the driver that comes to her aid, "Help her." Then, the other woman's body is found in a shallow grave. There are striking similarities and Detective Gina Harte must take the case, ignoring serious issues in her personal life. Why were these two girls targeted? Is another girl in danger? And danger is the name of the game. This is especially so as we get varying points of view entailing how the girls were connected, the things done to them, and whether or not Gina would be able to get to the bottom of it. 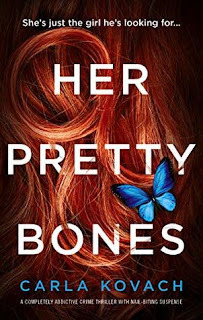 Her Pretty Bones is the third in the Detective Gina Harte series, and as I have not had the opportunity to read the previous books, there were a few characters that have key roles that I was not familiar with. Even so, I found this book easy to follow because attention was riveted on the action in this story. The varying timelines between the then and now help a lot in working things out, but there are twists and turns along the way to keep the reader's attention. This was an exceptional mystery and drew me in from the outset. I look forward to continuing to follow this series. Many thanks to Bookouture and to NetGalley for this ARC to review in exchange for my honest opinion. Carla Kovach was born in Birmingham, UK and now resides in Redditch, Worcestershire. 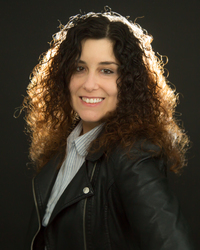 Author of supernatural drama 'Flame,' psychological thriller 'To Let,' crime thriller 'Whispers Beneath the Pines, and romantic comedy 'Meet Me at Marmaris Castle.' Carla also writes stage and screen plays, some of which have been produced in the Worcestershire area. Her new novel 'The Next Girl,' is available for preorder now. Robin has read 2 books toward their goal of 365 books. Robin has read 186 books toward their goal of 200 books. This is a relaxed readathon that occurs on the second weekend of every month beginning at 6 PM EST Friday and ending on Sunday at 6 PM EST. It's a fun way to catching up on your reading in the company of lots of fellow bookworms. There will be no events or prizes, no sign-ups, and no pressure. Read as many hours as you want, make book stacks or just pick new books to read as you go along. It's all up to you and what works for you. All readers welcome. Share book reviews and ratings with Shadow Lounge Readathon Group, and even join a book club on Goodreads. Welcome to Peter's Book Club! Anyone can join! I always wanted to be part of a book club but never had enough confidence to actually attend an actual physical meeting, so I started my own virtual book club. This book club coexists with my booktube channel Peter Likes Books. We will be reading books that are known for their pop culture value or are considered a cult classic. Some authors being considered include VC Andrews, Jackie Collins, Diana Rowland, Richard Laymon, Chuck Palahniuk, Hunter S. Thompson, Jacqueline Susann and more. Share book reviews and ratings with Peter's Book Club, and even join a book club on Goodreads. Share book reviews and ratings with Robin, and even join a book club on Goodreads. I consider myself a professional reader. I read at least a book a day, and I have a strong past in reviewing. Years ago, I reviewed online for several sites consecutively. I also reviewed for the Romantic Times magazine for six years, with my own byline. I am happy to be reviewing again, this time at NetGalley, Amazon and Goodreads. I enjoy reviewing at NetGalley. I've written over 175 reviews on that site in less than three months. In total, I have read over 320 books from April of last year. Reviews for many of those are also on Goodreads and Amazon. I've been married for 36 years with six wonderful children and five gorgeous six.